Crafted on an impressive scale, these silvered bronze candelabra are designed in an elaborate Neoclassical style, typical of Louis XIV period decorative arts. 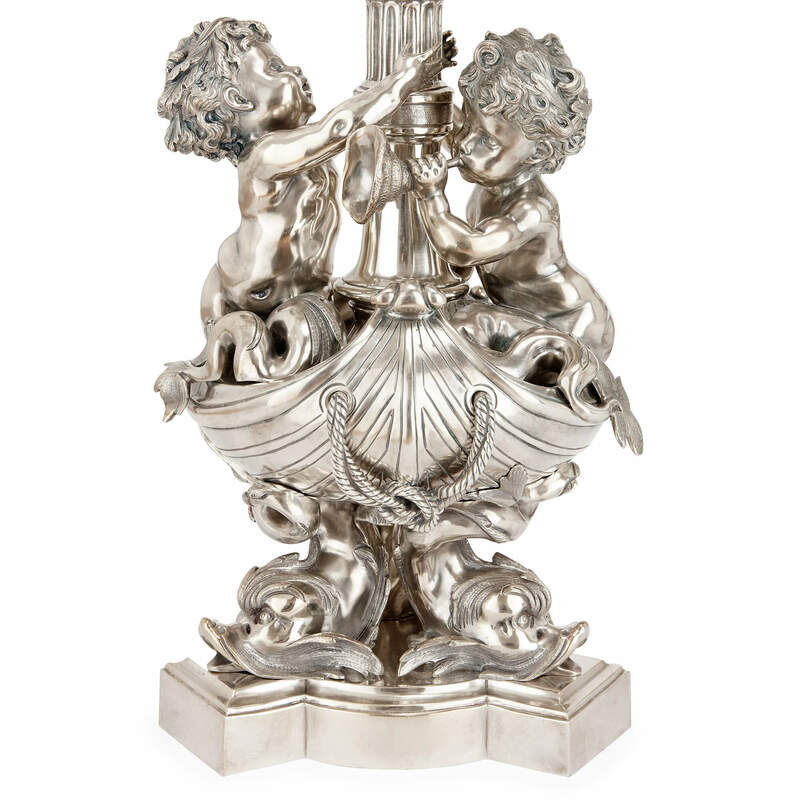 The candelabra stand on triform bases, which are decorated with sculptures. 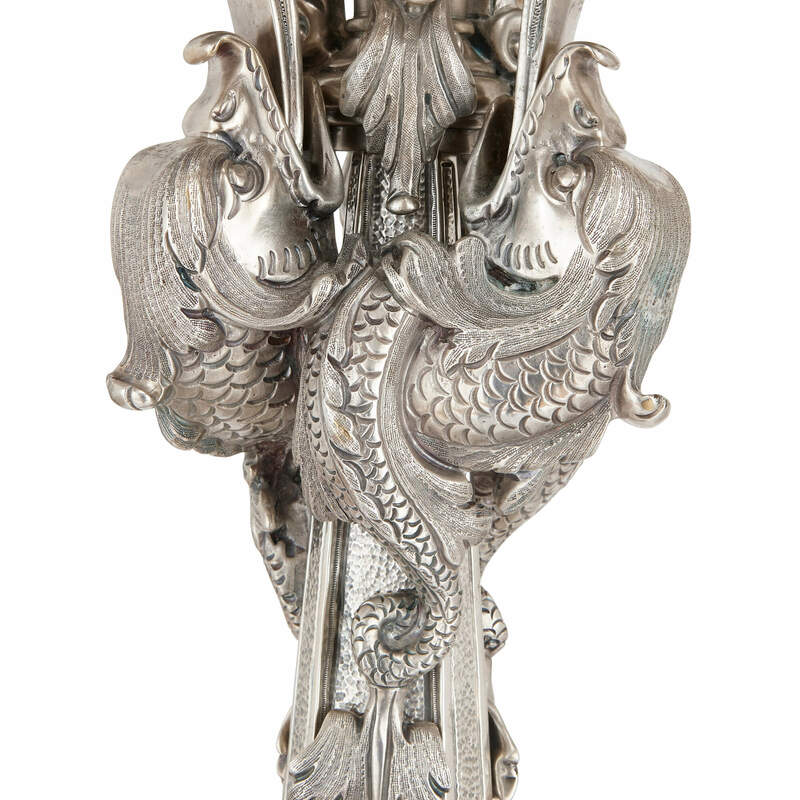 Each candelabrum base features two putti with fish tails who sit in a boat that is carried on the backs of sea monsters. 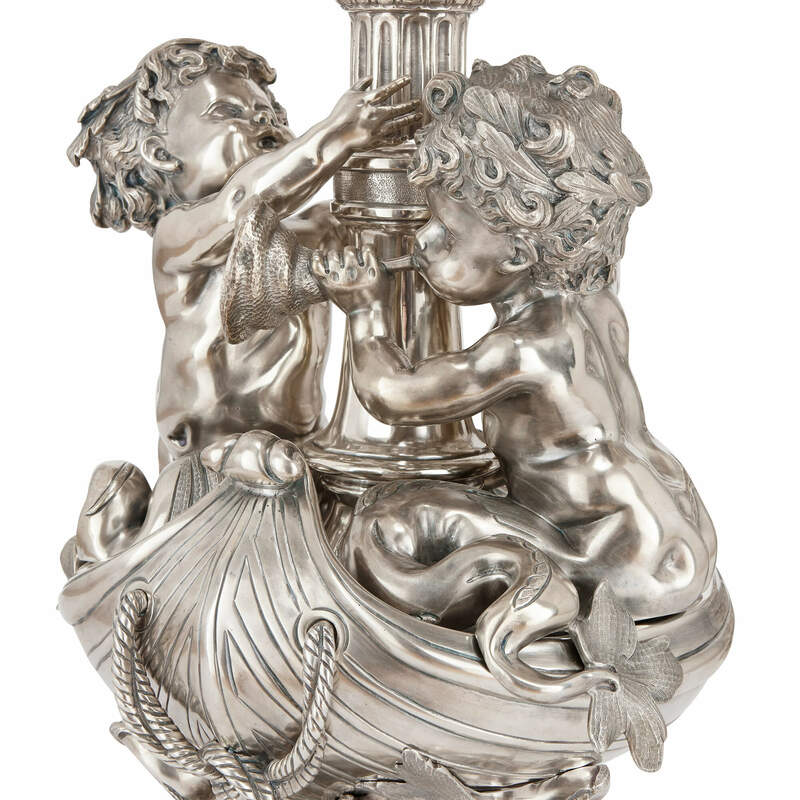 On each, one putto clutches the candelabrum stem, as though adjusting the sails, and the other blows into a conch shell. 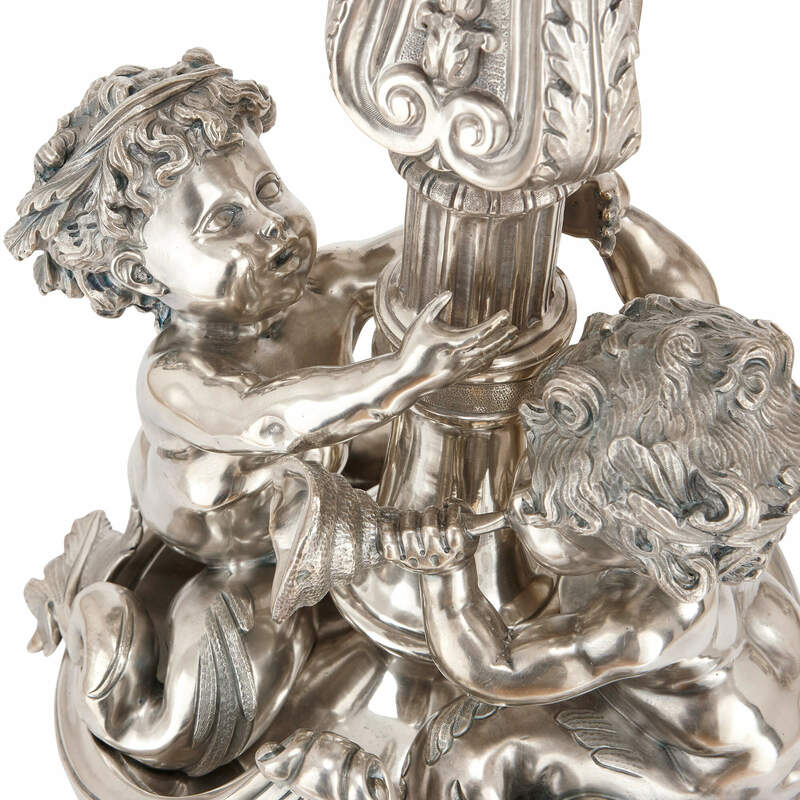 The putti wear laurel wreaths on their heads. 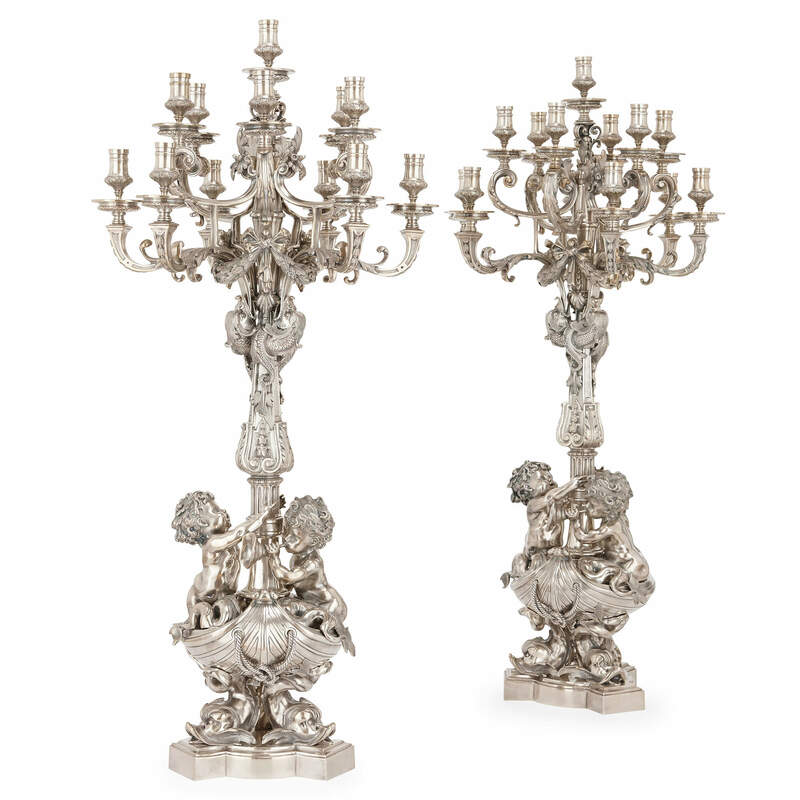 Above these sculptural bases, the candelabra stems are shaped, and are decorated with fluting and scrolled foliage. 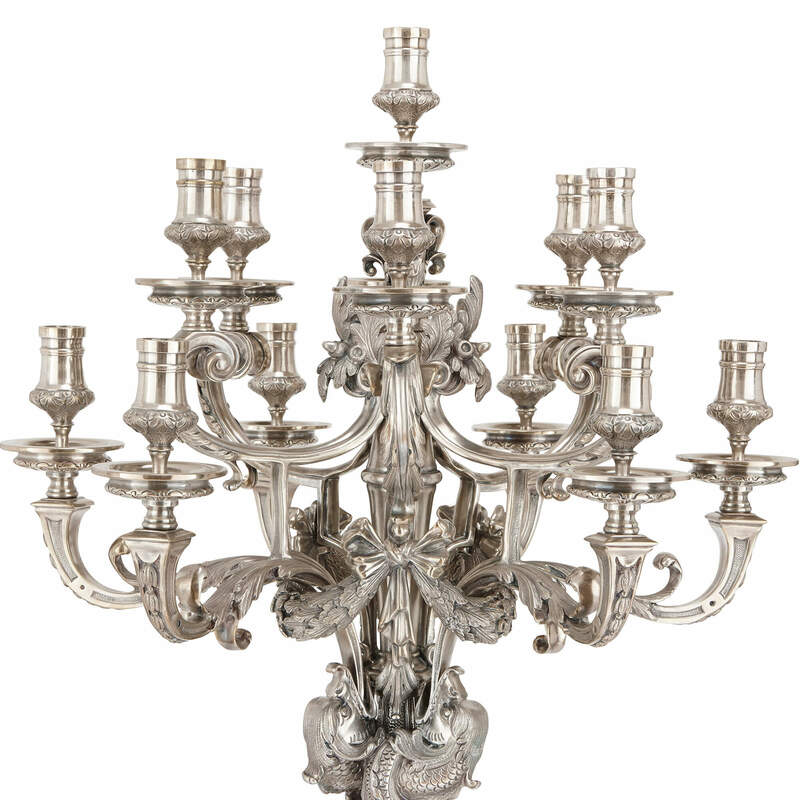 Each candelabrum holds thirteen lights, supported by leafy strapwork branches, which spring from sea monsters’ mouths. 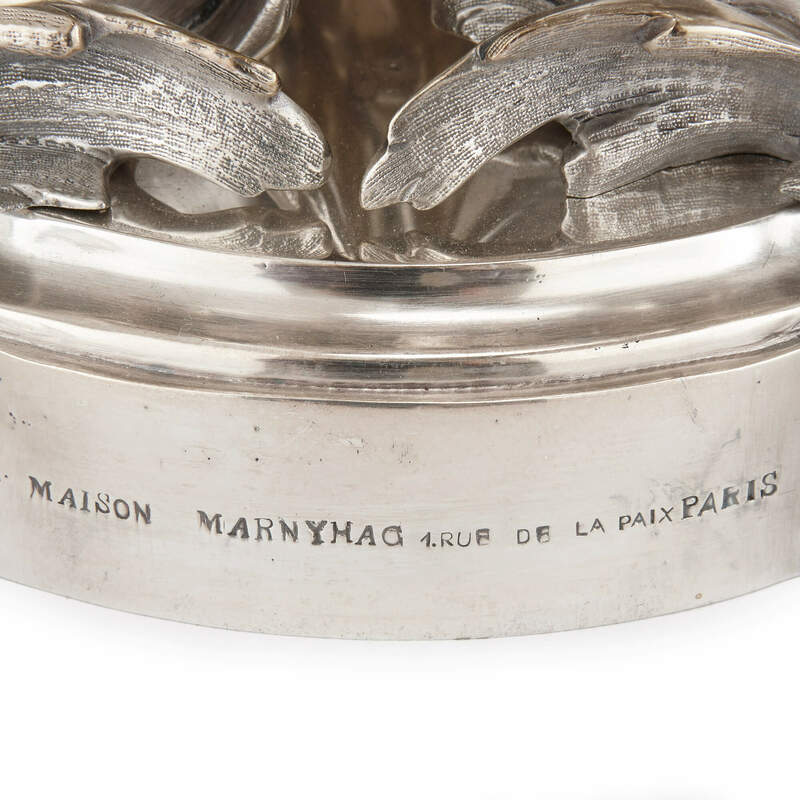 These are tied around their bases with foliage swags. 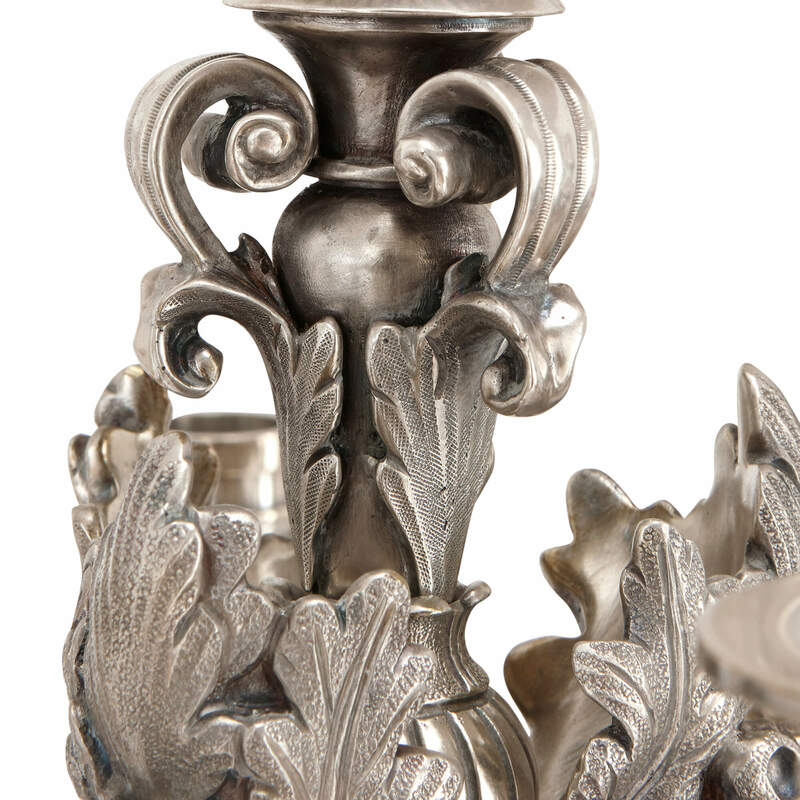 The branches terminate in wide, foliate drip-pans and capitals, which will hold the candles.